Recycling architecture is a concept that fascinates Mirka McNeill Farmer. 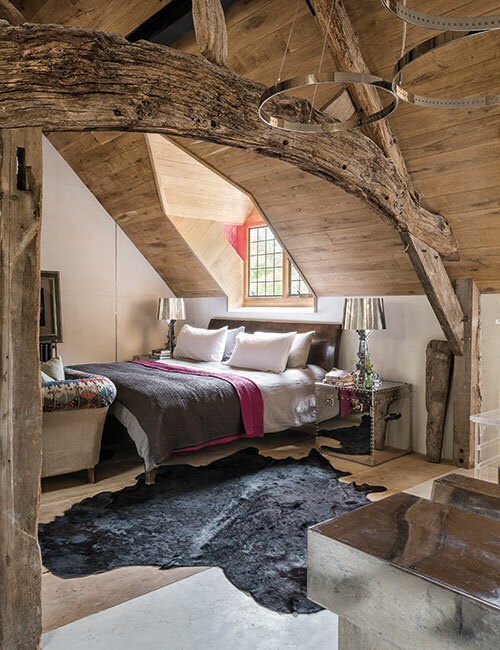 “I like to retain the proportions and the detail of period buildings but update them using modern design and technology,” says the Warsaw-born designer. Her own house, in East Anglia, is testament to this, and has given her ample opportunity to put her theories into practice. At some point during the 11th century, a community of Cistercian monks from Normandy had settled in the village, and there is still much evidence of their presence, as these discoveries show. Until it was converted into a house around the middle of the 20th century, McNeill believes that the building might have been a barn attached to a small farm dwelling. It’s close to the Norman village church, and has clearly had a long and varied past. In that respect, it reflects its owner: after studying anthropology and archaeology in Poland, she moved to London, met and married an Englishman and became a web designer, before switching to interior design. 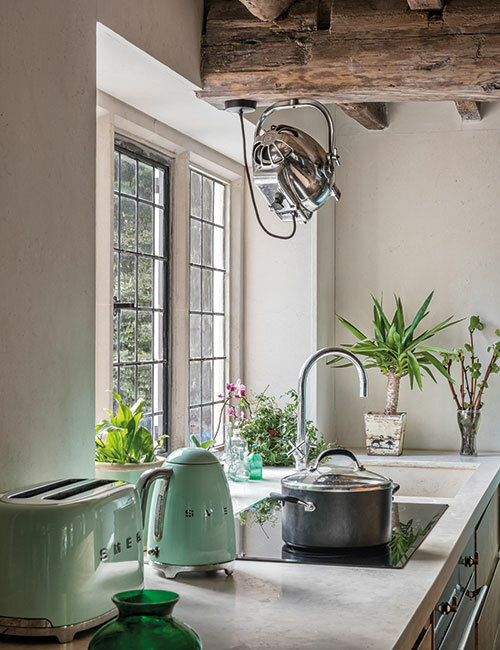 She thrived in this new field and within three years saw her work included in Andrew Martin’s Interior Design Review, and again in three subsequent Reviews. McNeill cut her teeth on two run-down flats that she and her husband had bought as an investment in Warsaw. 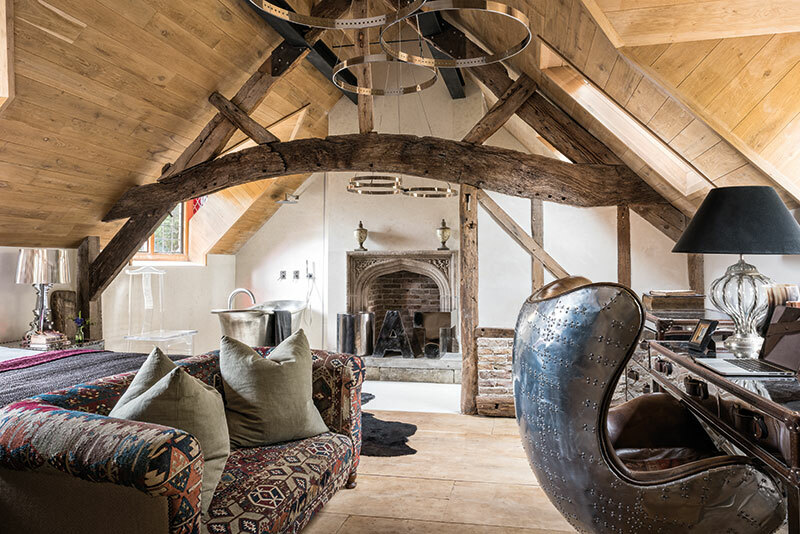 “I had a free hand as far as design went, but it was stressful being in charge of a team of builders and planning the work so that they were kept busy. Sticking to the budget was a challenge too,” she says. 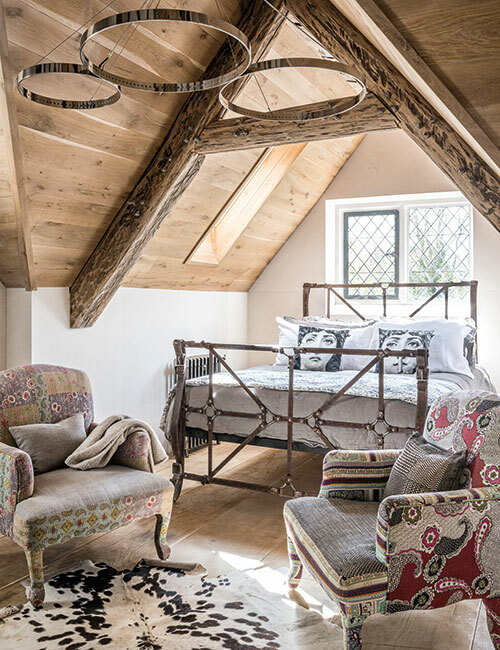 It was a steep learning curve but the end results were worth the sleepless nights – she would go on to work for Andrew Martin for several years, designing furniture and undertaking special projects for the company. All of this experience came in handy with the Norfolk house, as did McNeill’s dedicated, if not mildly obsessive, approach to creating a home. 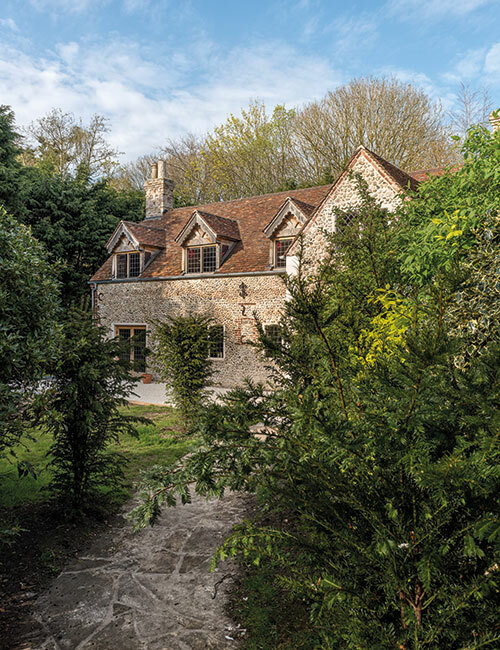 Her vision extended far beyond restoring the house in a traditional manner associated with its period origins. 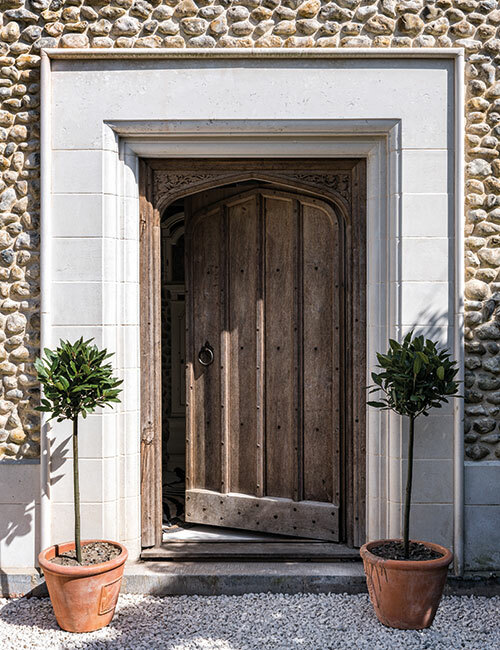 Rather than taking a quick trawl around local builders’ merchants, for example, she would habitually spend days and weeks searching for unusual architectural details to give the house its unique character. 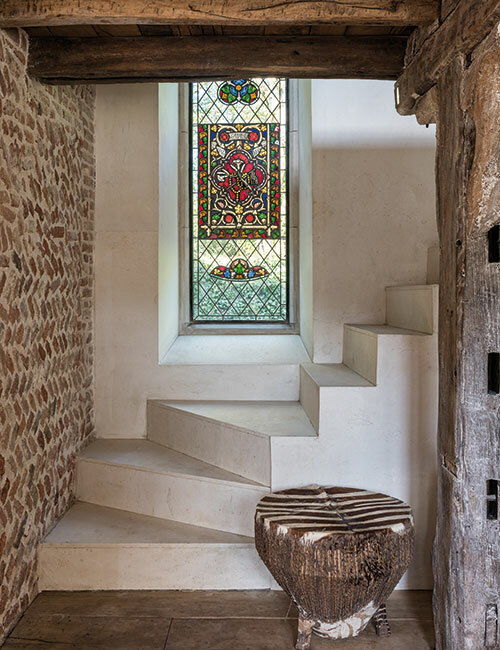 This is not to say that there are no contemporary features incorporated into the building – the stone stairs and the glass balustrade are a good example of this. 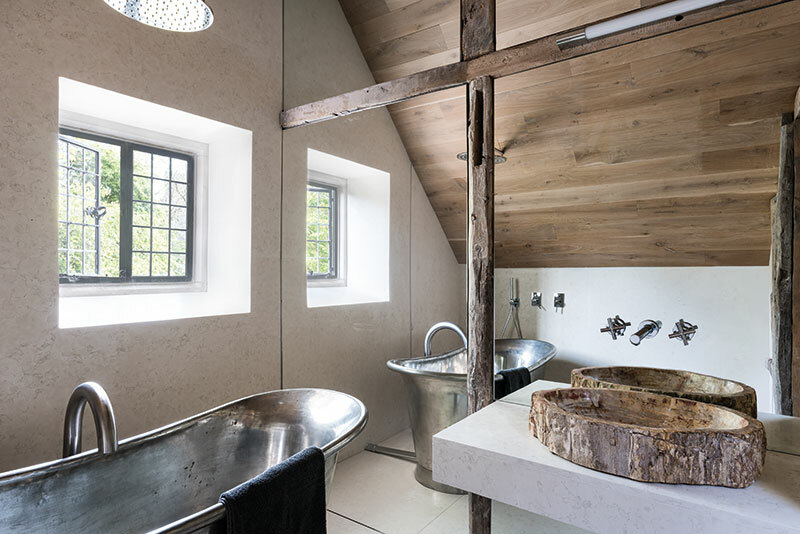 The bathrooms too, of course, are contemporary in style, although the fossilised timber from which the basins are carved is thousands of years old. “Everything here is truly a mix of old and new,” acknowledges the designer. 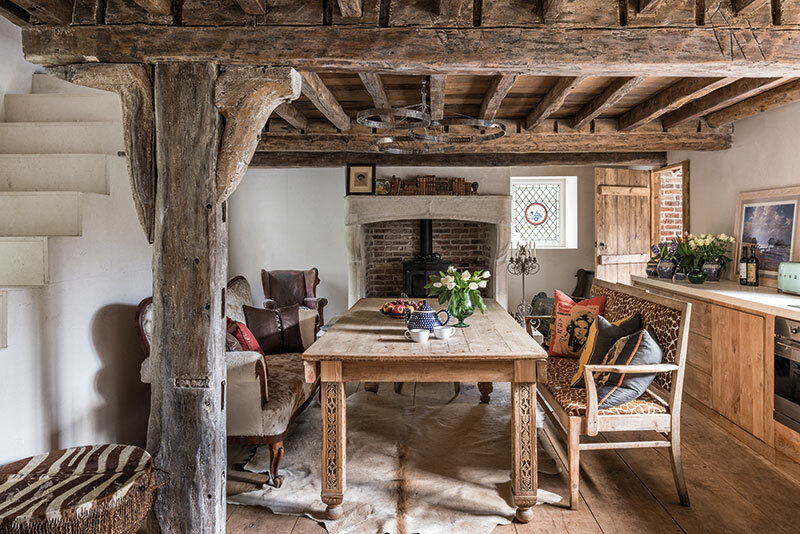 The focal point in the adjacent living room is undoubtedly the splendid 16th-century fireplace which sits midway between two sets of French doors leading to the garden. 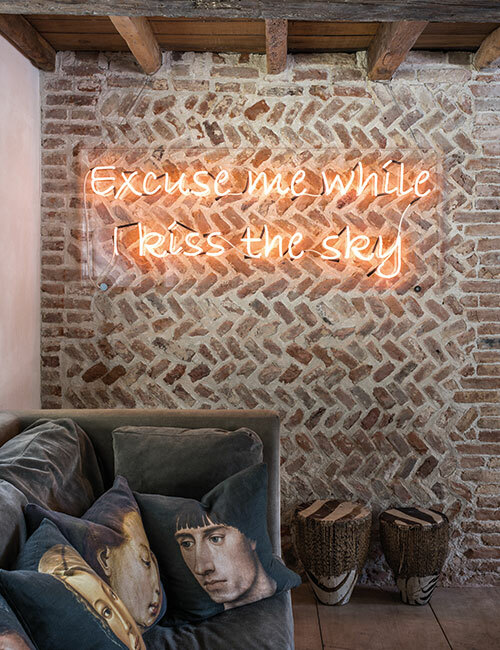 “There is so much warmth and tonal variation in the colour of the bricks and the wood that I kept the wall colour neutral throughout the house,” says designer, who adopted the unusual approach of lining all the walls with Spanish limestone. 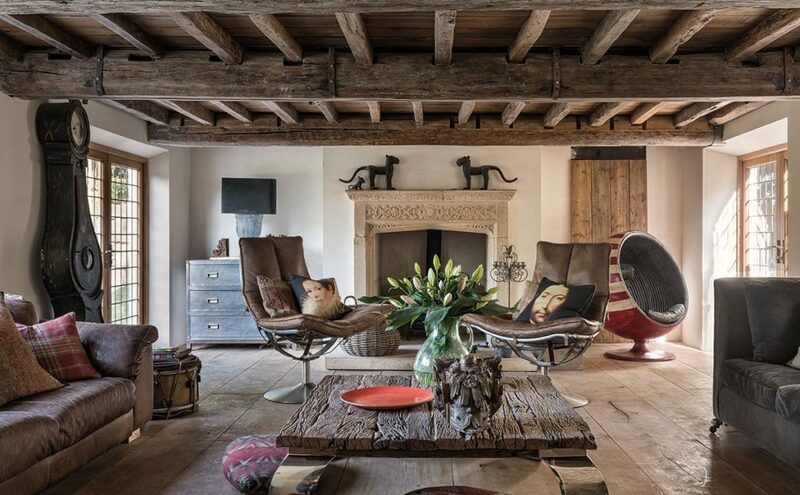 ‘They would have had to have been plastered and painted in any case, so it wasn’t such an extravagance, and I like the contrast of the smooth surface of stone against the rough texture of the wooden beams,” she explains.